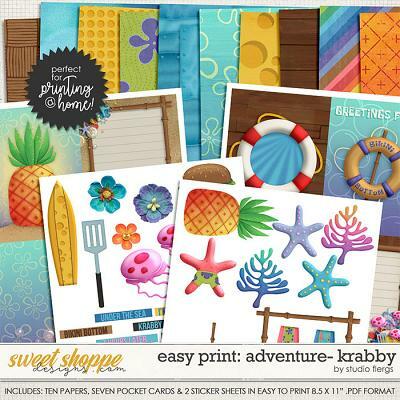 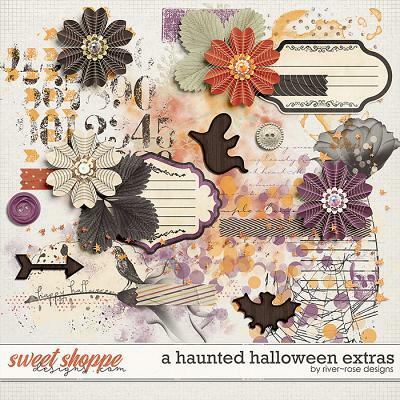 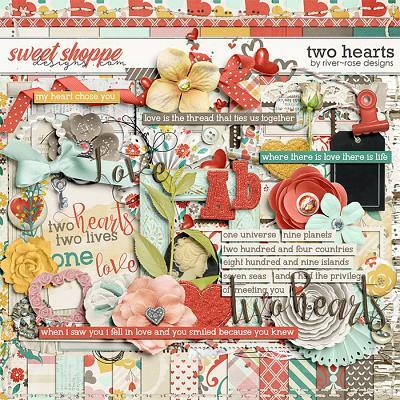 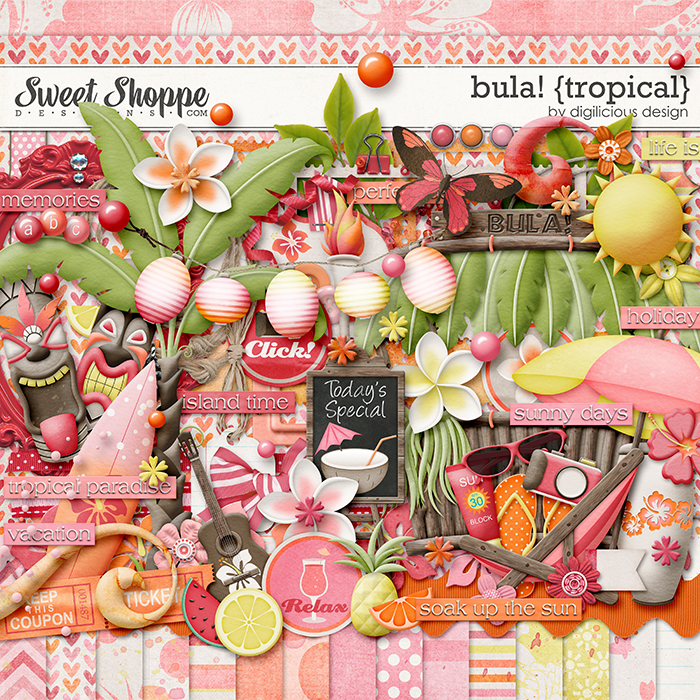 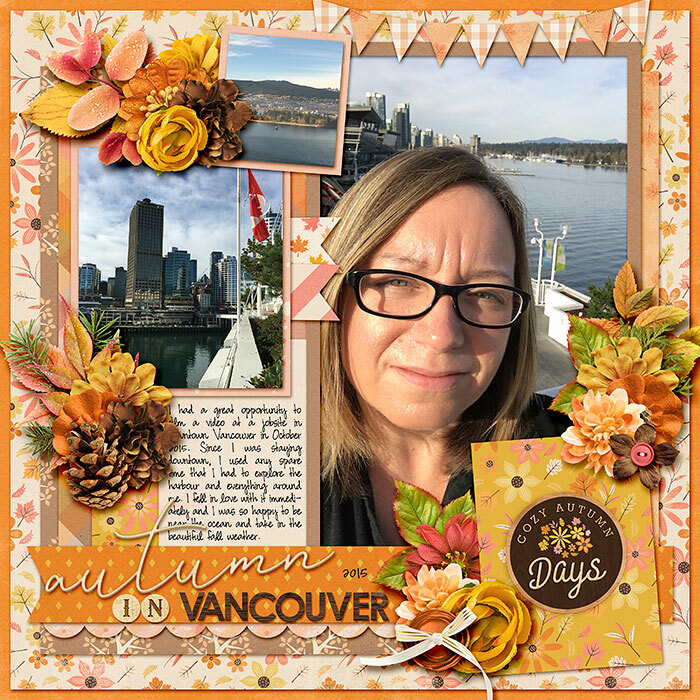 A digital scrapbook kit by Kristin Cronin-Barrow. 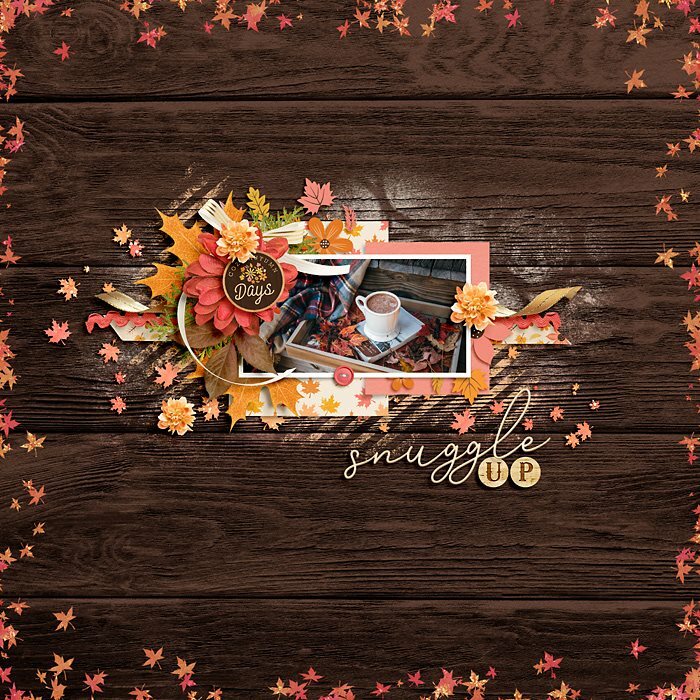 Admit it—we all love when the weather cools down and it’s time to snuggle in with a hot cup of cocoa and a good book. 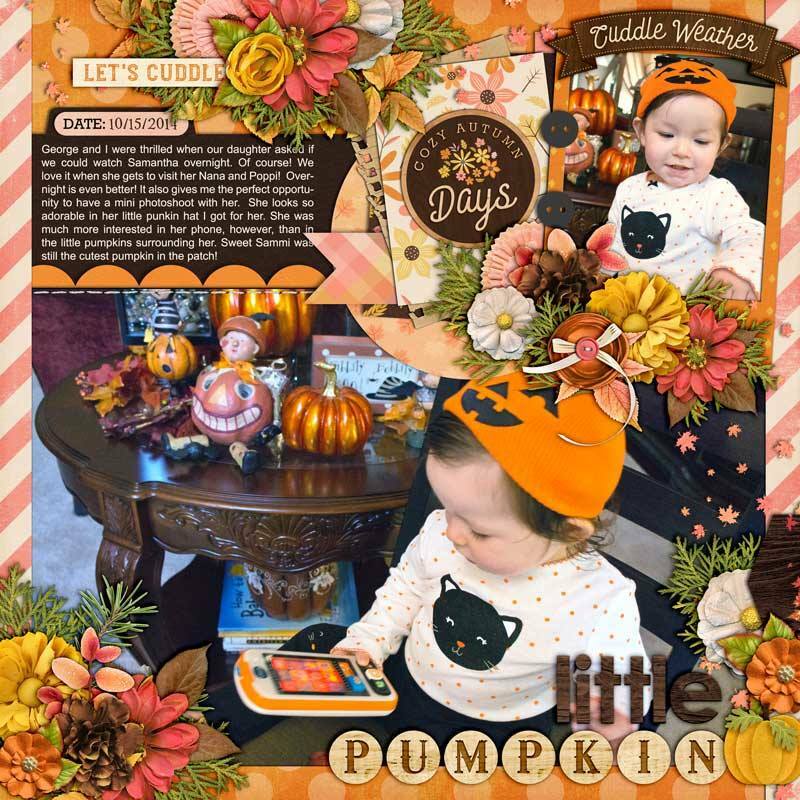 This kit’s full of golden color and lots of coziness. 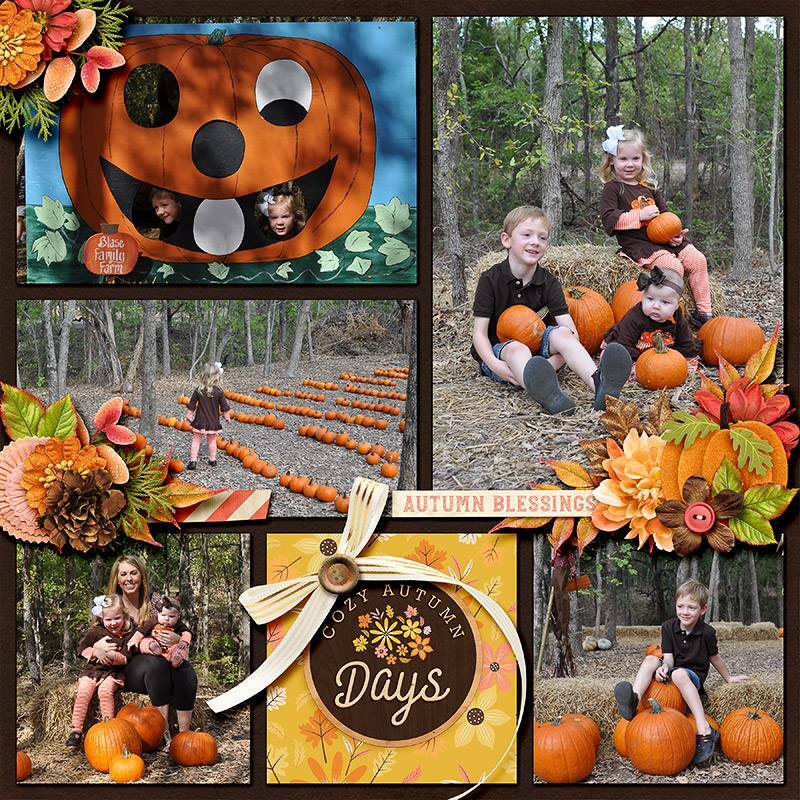 Elements include everything we love about autumn: pumpkins, a mug, pine cones, leaves, a tea bag, word art, titles and more. 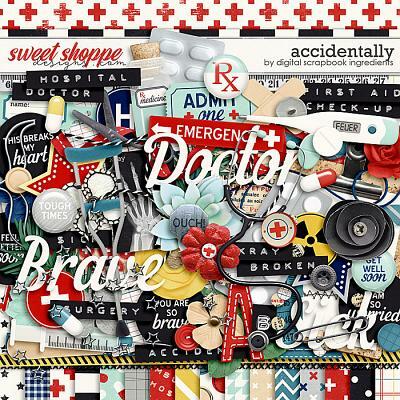 Find your favorite blanket—and your favorite person...it’s time for cuddle weather! 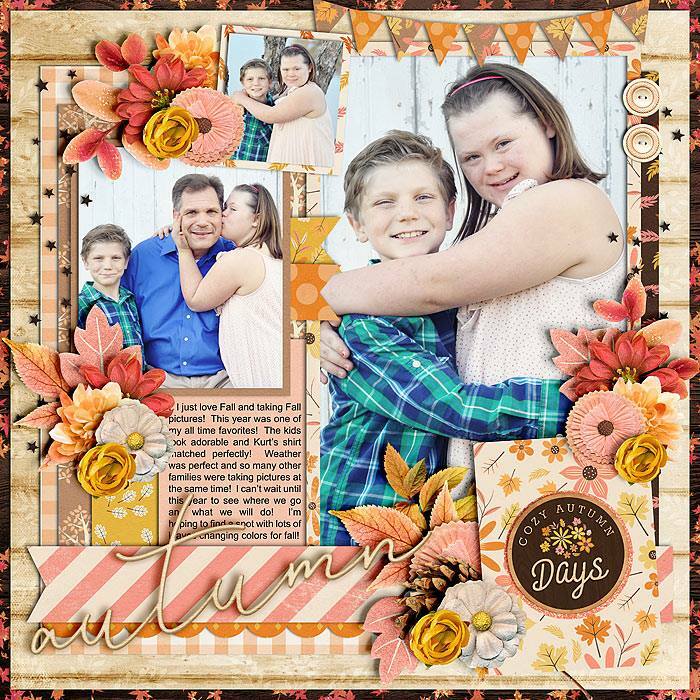 This bundle includes the digital kit cozy season and cards. 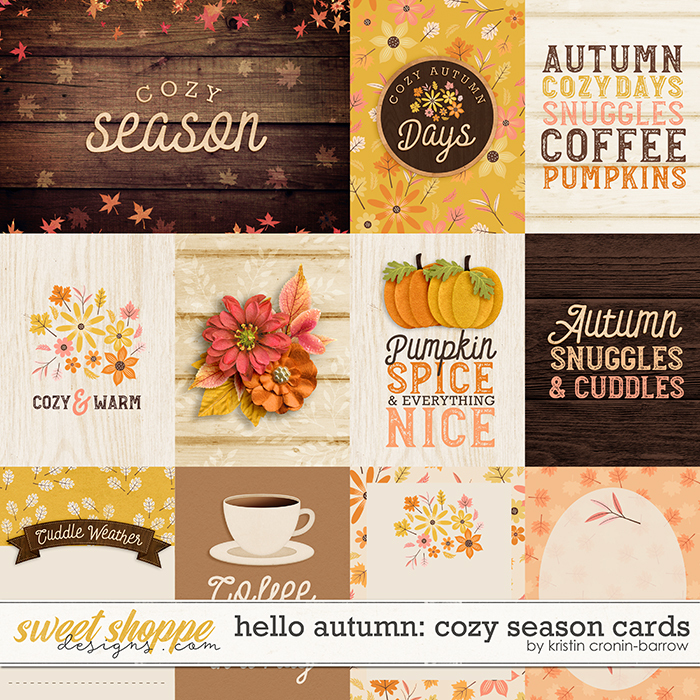 Buy the Hello Autumn: Cozy & Sweater season bundle for even bigger savings.